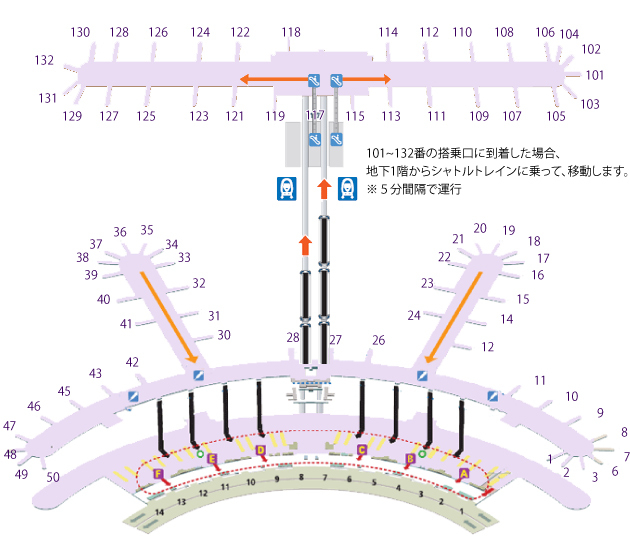 Please take the Shuttle Train to passenger Terminal if you arrive at the gate 101 to 132 of the Concourse. １．pass a quarantine if nessesary. Be in line in front of the immigration booths for foregin passport holders. Arrival information on the f irst floor. the EXIT to get on the airport buses.